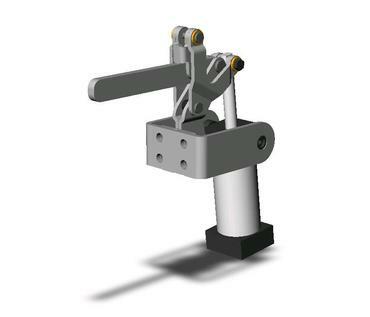 Pneumatic version of manual clamp models 317-U and 317-S. Dual mounting surfaces for max flexibility. Built in flow control for smooth operation, magentic ring piston for position sensing. Accomodates either T-slot (8EA-109-1) or round (810169) sensors.